For the most incredible chocolate experience of your life, give these Xocolati (Mexican Chocolate) Cupcakes by Anna of Icy Violet's a try! You're going to love them! 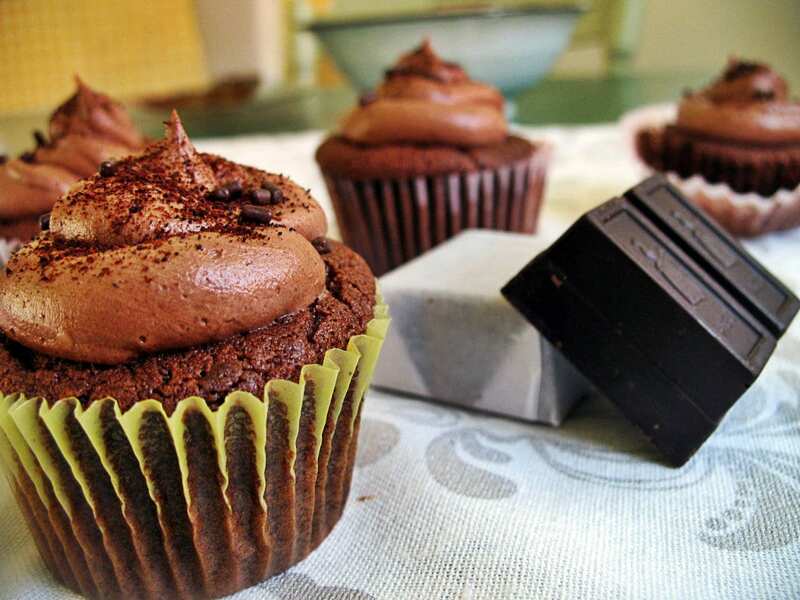 How to make Xocolatl Cupcakes for your next get together. 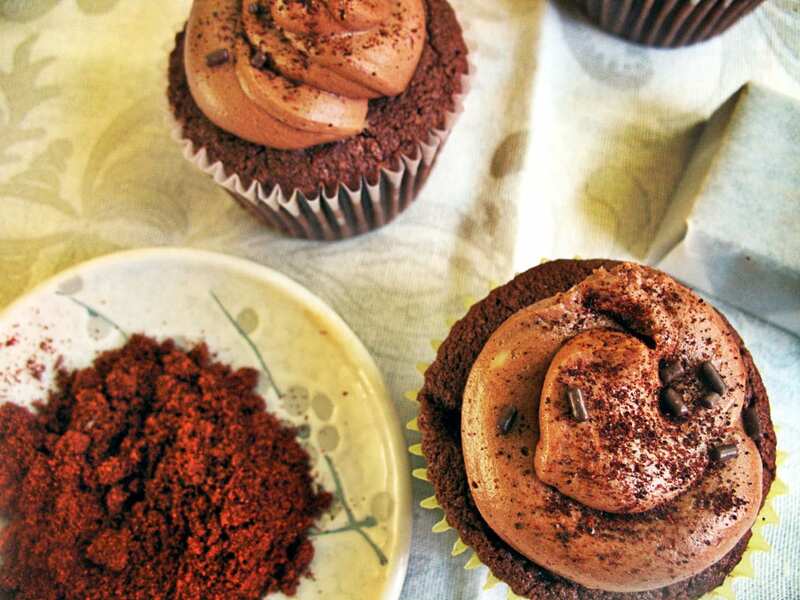 These adult cupcakes will be a taste sensation that your friends keep coming back for. Today our business is with chocolate. Real chocolate. Aztec chocolate. Nahua chocolate. They drank it cold, peppered with chili. When I was a kid, I thought I loved chocolate. What did I know about it? I grew up with one brother, and at the soft-serve-dairy-queen-ice-cream-drive-thru he always chose vanilla. So it was understood, in my little girl brain, that I must choose chocolate. But somewhere around college I took a look at the crap I was eating (ice cream, pudding, cakes from a box) and thought you know, I don’t like this. One tastes like another and it’s all the same. It’s plastic chocolate. Chocolate should be serious. It’s not the trick-or-treat throwaway food it pretends to be. It’s something dark and mysterious, straight out of a Mesoamerican jungle. Bitter as coffee, and far more seductive. Theobroma cacao. The food of the gods. A sacrament of chocolate, consumed in place of blood in a sacred ritual. Yeah, it got real heavy right there. Don’t get me wrong. There is a place for Hershey’s Kisses, Rocky Road ice cream, even a box-mix cake once in a while (Lord knows I can’t reproduce the perfect, squishy fudginess of box brownies no matter how hard I try). But chocolate deserves respect. It deserves to be paired with garlic and almonds in savory dishes. It deserves to be tried at full strength, melted over sweet oranges. It deserves to be called by its real name once in a while…xocolatl. It deserves to be paired up with its Mesoamerican cohorts, chili peppers and vanilla (not opposites after all, but best friends). 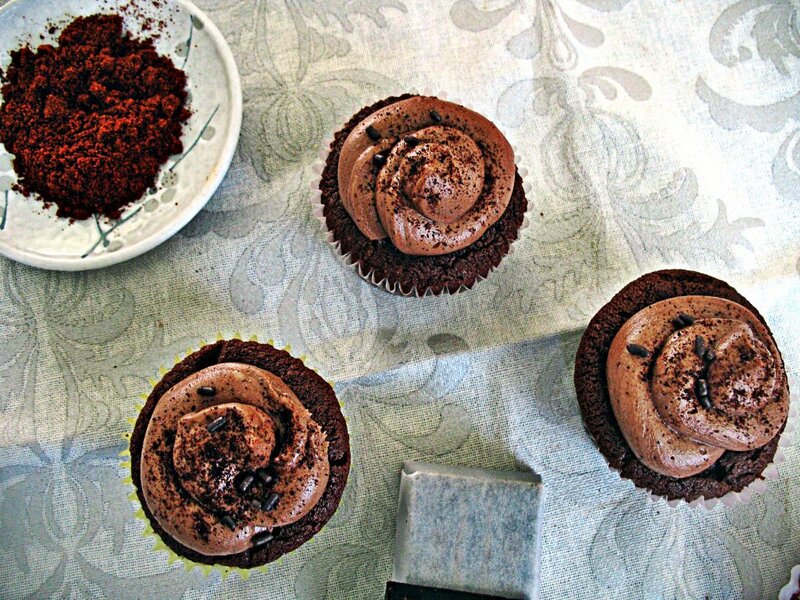 These cupcakes are a celebration of chocolate’s past. Cook some up, and dedicate them to the jungle gods. 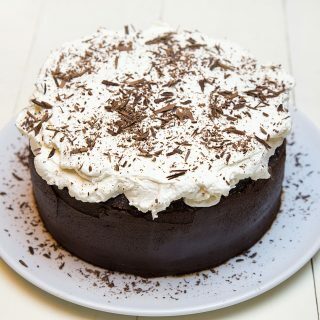 This recipe is based on the chocolate cupcake recipe from Magnolia Bakery, my go-to for a chocolate cake with a flavor that favors the stronger notes of chocolate. Less milk, eggs, and sugar. More bean. The icing is my own. These cupcakes can have as much or as little spice as you like. The recipe I’m giving you was described as ‘bitey’ from my friends/guinea pigs who tried it. I thought it could use a little more spice, to be honest, but I like things strong. Did you notice? 3 tablespoon milk or cool coffee if you want to be really exciting! To melt the chocolate, place in a double boiler over simmering water on low heat for 5-10 minutes (about; stir occasionally until completely smooth and no pieces remain; remove from heat and let cool 5-15 minutes or until lukewarm). Line two 12-cup muffin tins with cupcake papers; set aside. In a bowl, sift the flour, baking soda, cinnamon and chili powder together; set aside. In a big mixing bowl, cream the butter, using an electric mixer on MEDIUM speed, until smooth. Add the sugars and beat for about 3 minutes or until fluffy. Add the eggs, one at a time, beat well after each addition. Add the chocolate, mixing until well incorporated. Add the dry ingredients, in three parts, alternating with the buttermilk and vanilla. With each addition, beat until ingredients are incorporated but do not overmix. Carefully spoon batter into cupcake liners; fill 3/4 full. With an electric mixer, beat together sugar, cocoa, chili powder, and butter. Add vanilla and milk/coffee, beating on medium for another minute. 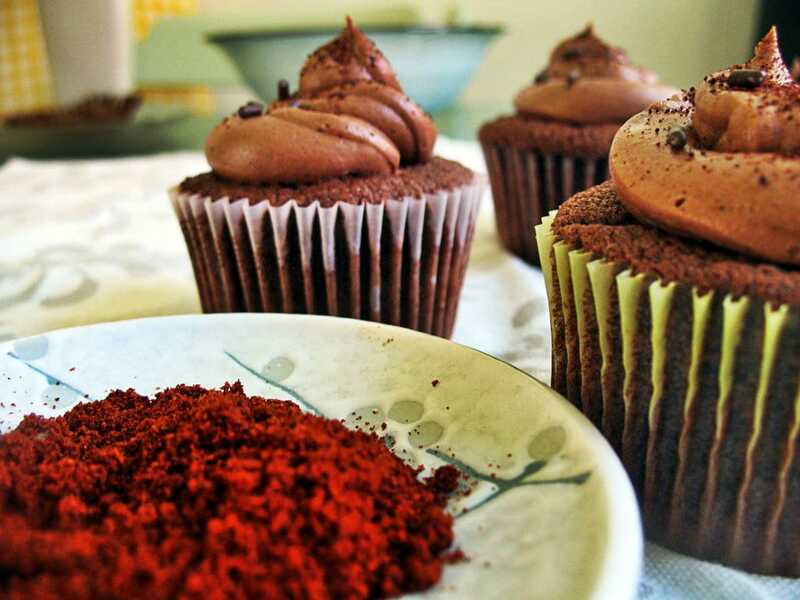 Pipe onto cupcakes and top with a sprinkling of chili powder. These look amazing! I am going to make them this evening but will be adding cranberries to make them a little more “holiday”. Have you ever done them with dark chocolate in the cupcakes or the frosting? Or replaced the oil with applesauce? the chili powder that you use is ground chilis with no cumin/garlic/oregano, right? I use a lot of chime chili powder so I think it might be hotter than the one you use. Do you have recommendations for adjusting? Thanks for the recipe–looks relish! I made these for a birthday party with a Mexican theme and while the flavor was delicious they were dry and crumbly and more like a muffin than a cupcake. I tried to follow the recipe exactly. I made these and the tops of my cupcakes have constantly collapsed on me. They never seem to stay up. The batter always has a very mousse texture to it, which I’m assuming is what’s causing them to be too light and unable to keep a poofy “muffin like” top. Suggestions? Thanks! this was a guest post by another blogger, so I don’t know if I can answer the question very well, but after looking at the recipe the only question I have that could cause any issues is the temps of the the eggs, butter and buttermilk. Butter should be soft to the point that you can easily push your finger into it but not so soft that it can’t hold its form when you push the finger into it. Also the eggs and buttermilk should be at room temperature. I wish I could tell you more about the recipe but I’ve never made it. My suggestions are based on what I’ve learned about issues I’ve had while baking. how long do you cook these if your making mini-cupcakes? HI, this chocolate cupcake look sinfully delicious. Love the texture, so soft and moist. 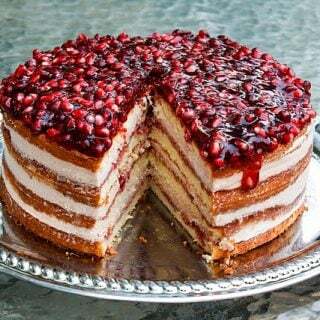 The topping look extremely good too. Thanks for sharing the recipe. My mouth is watering. I wish I had a cupcake in front of me. I would even do with one of the half eaten ones. That picture is worth a thousand drools. Everyone needs a chance to compain! Good thing that you have a good outlet to do so! This was a fantastic guest post Anna, bravo for the cupcakes! They look amazing! Chocolate and chile are a favorite combination of mine. So nice to find another way to join them. Great guest post. Great blog. These cupcakes look devine. Grown-up cupcakes. Delicious! Fabulous guest post, last week I tried mexican hot chcoloate with chili, I fell in love with as my nose is blocked with cold, it helped little for opening that. Nice to meet you Anna. Just perfect! Love hot spice and chocolate! Nice to meet you and I have had chili and chocolates in Vosges chocolates. It makes your taste buds sing. I’ll be trying your cupcakes soon. I always add cinnamon whenever I’m baking with chocolate. Sorry to hear about your back issues. Take care of yourself. Thank you for introducing us to Anna. Thanks Rebecca, I have not tried brewing cocoa, but it does sound wonderful! I had heard of a new type of coffee like cocoa, I wonder if this is the same thing. ooo that does sound lovely. i’ve wanted to see the cocoa bean treated more like the coffee bean for some time! can’t wait to try this. Oh, I have had chocolate with chili in a candy bar and it is fantastic. Spice in some chocolate, you’ve got to love it. Anna it is so nice to meet you and your cupcakes are killer, I especially like the last photo with the teeth marks. Are those my teeth, LOL? Could be. Thanks Dennis and Anna and lovely weekend to you both. Delicouso! I just can’t get enough of chocolate! This makes me feel like having a hot chocolate with soymilk, chili powder and chocolate. I might have to do that for dessert tonight. I hope you have a wonderful weekend! Yes, please. I’ve always wanted to try a chocolate cake with a bit of chili, i’ve heard about mixing chocolate and chile piquín, but never with chile pasilla. Does the Mexican Chocolate Icing has chocolate? And if it does, please, can you tell me wich one( melted chocolate, mexican chocolate, cocoa powder)? I hope to make them really soon, thank you so much for sharing! I’ve tried Mexican hot chocolate before but didn’t love the use of chile in my drink. 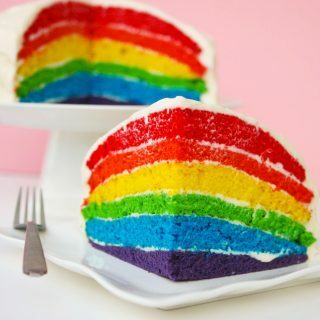 But this looks so yummy that maybe I just need to try it in a solid form vs liquid. I do hate all spicy drinks. Chef, chin up, feel better and plod through that paperwork! 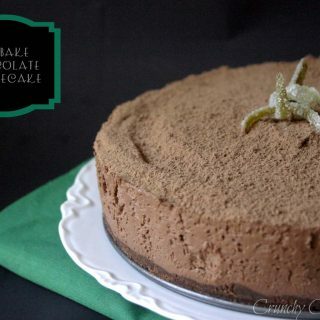 I absolutely love the combination of chocolate and pepper – it’s definitely a classic! Wishing you a happy weekend Chef and thanks so much for inviting Anna over here. Anna, it is a pleasure to meet you and you do have a way with words, and chocolate. Ooh, if there is any way to make chocolate more of an indulgence it is to add chili and cinnamon. These look like nothing but a new addiction. 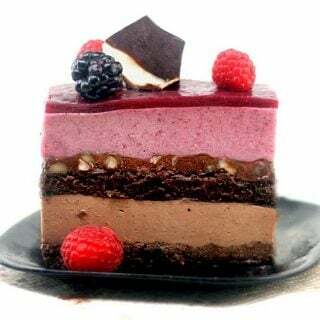 Rich moist and chocolatey with a kick. Great guest post! Sorry to hear about your back, Chef. My husband does suffer from the same nagging pain which can be worse at times than others. He takes Doan’s back pills for some relief. Both of you enjoy the weekend! Anna – beautiful cupcakes. I always love the combination of chocolate & chili. Nice to meet you! Yummy! Chocolate, chilli and cinnamon can’t wait to try this combination. Good luck with all that paperwork, Chef!! Delicious indeed! It was trully fascinating to read your post about chocolate, Anna! Chef, I hope you will be able to relax soon! Chef Dennis! I’m thrilled to see my name up in the lights of your blog. Thanks so much for featuring me, and for your kind words. I’m so sorry to hear about your back problems, back issues can be such a burden. Best of luck! What a fantabulous cupcakes you have there , Anna ! Throw some of that over here ! 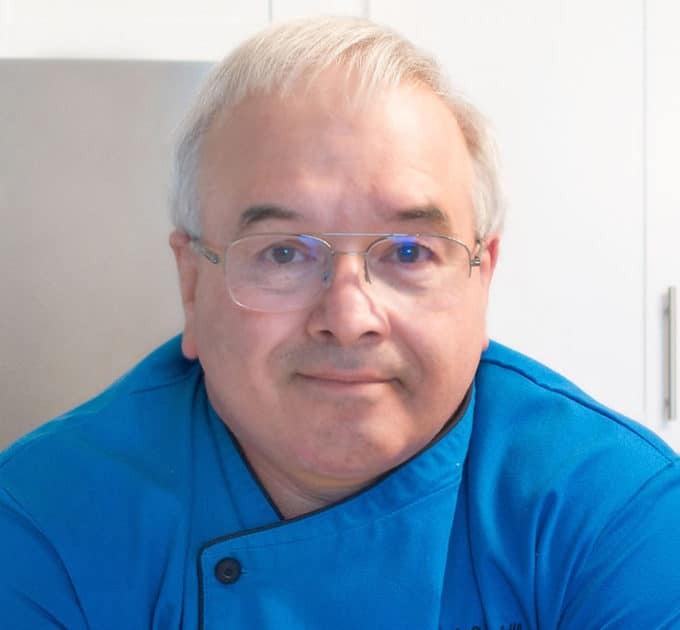 😀 Scrumptious guest post , Chef Dennis ! 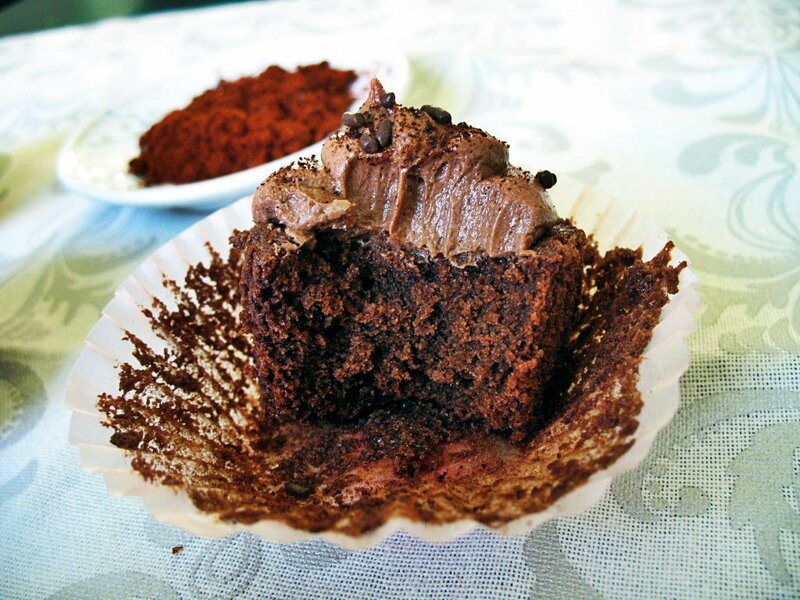 I love chili with chocolate, what lovely cupcakes! Dennis- Take care of you! Wish I could do something to help. I’m really good at paperwork but with the pony express mail us Canucks deal with I’m not sure it’d help you much. Anna- It is so nice to meet you. Any friend of Dennis’s is a friend of mine. Any friend who brings chocolate is my new bestie. These look wicked good. Do you deliver? I like the bold combination of cinnamon and chilli in Mexican chocolate and their chocolatey deserts. The cupcakes look really yummy!